Took these photos as we waited in line for our FREE coffee. This was a promotional coupon received in the mail. 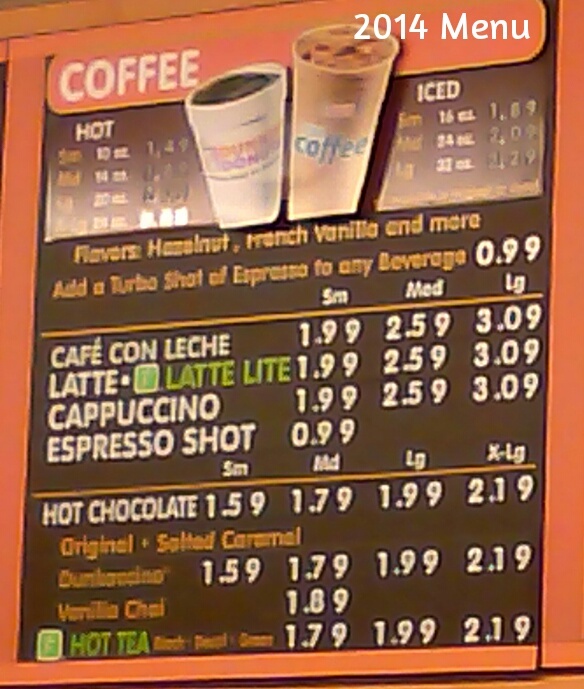 The medium coffee was $1.89, a small was $1.49 The cold coffee and related drinks are below this top picture. 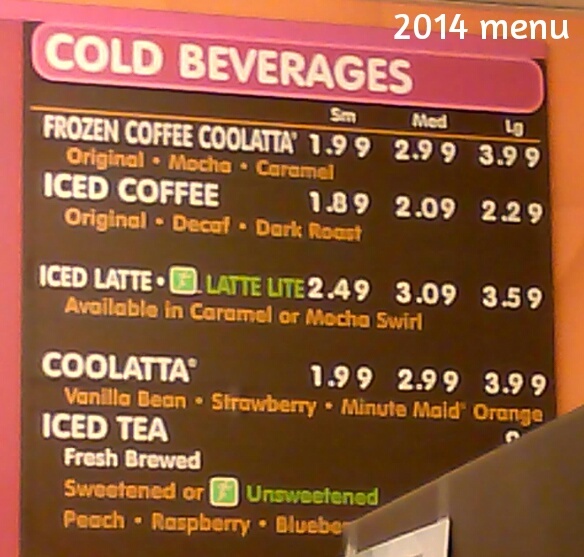 The Arnold Palmer drink was not listed on the menu, but was available for purchase. 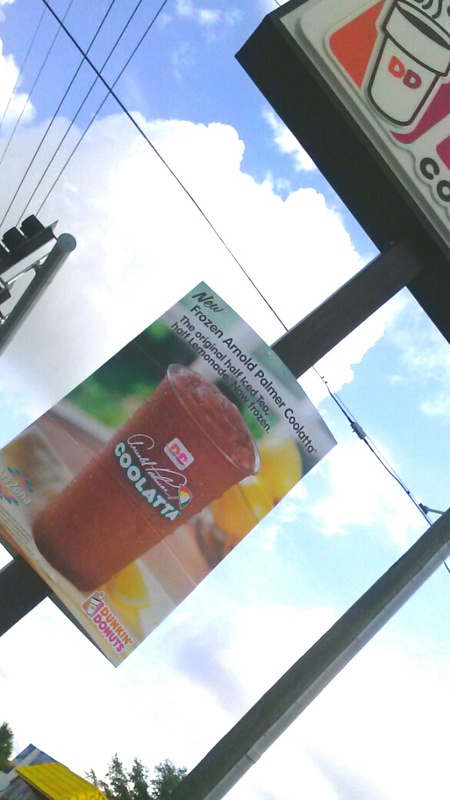 There were BIG signs outside the Dunkin Donuts promoting this cold drink.